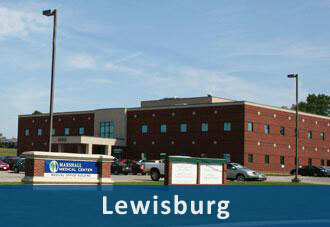 Maury Regional Medical Center processses financial assistance applications for Wayne Medical Center. To complete an application for financial assistance, click here. Para ver una completa Política de Asistencia Financiera WMC en español, haga clic aquí. 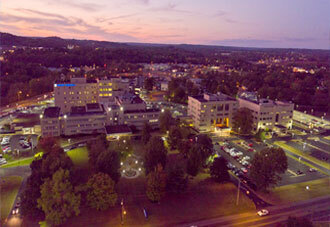 Wayne Medical Center’s (WMC) mission is to serve our region with clinical excellence and compassionate care. We strive to provide care with empathy, understanding and compassion and to improve the health and wellness of the population in our service area. In service to this mission, WMC is committed to providing medically necessary services to patients regardless of their ability to pay. This financial assistance policy is intended to be in compliance with applicable federal and state laws for our service area. Patients qualifying for assistance under this policy will receive a discount for care provided at Wayne Medical Center. 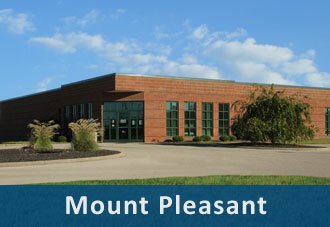 Wayne Medical Center is committed to provide high quality patient care for services. This policy provides for treatment of uninsured and/or underinsured patients, who receive emergency and other non-elective, medically necessary health care services, regardless of their ability to pay. The WMC policy provides guidelines for assisting patients who do not have the ability to pay medical bills incurred at WMC. Financial assistance is not considered to be a substitute for personal responsibility. Applicants are expected to cooperate with MRMC’s procedures for obtaining financial assistance or other forms of payment or assistance, such as possible public benefit or coverage programs available to pay for the cost of care. Applicants are also expected to contribute to the cost of their care based on their ability to pay. Wayne Medical Center will grant financial assistance based on an individualized determination of financial need, and will not discriminate on the basis of age, gender, race, social status, sexual orientation, or religious affiliation. Assets: Certain assets will be considered in making a determination of eligibility for WMC financial assistance. Catastrophic Care: Financial assistance provided to patients with unreimbursed medical expenses incurred at WMC during a 12-month period that exceed a defined percentage of the annual family income of the patient or responsible party. Financial Assistance: Assistance provided to applicants meeting WMC’s established criteria, who would otherwise experience financial hardship, to relieve them of all or part of their financial obligation for medically necessary or emergency care provided by WMC. Free Care: A full waiver of patient financial obligation resulting from medical services provided by WMC for eligible uninsured and underinsured patients, or their guarantors, with annualized family incomes at or below 100% of the federal poverty level. Payment Plan: An interest-free, payment plan that is agreed to by both WMC and a patient, or patient’s guarantor, for out-of-pocket fees. The payment plan shall take into account the patient's financial circumstances, the amount owed, and any prior payments. Uninsured Discount: Patients with no third-party coverage will be granted a 43% discount. This is in accordance with Tennessee law which sets an uninsured discount equal to 175% of the cost for the service for emergency or medically necessary services provided by WMC. Underinsured Patient: An individual with private or public insurance coverage with expected out-of-pocket expenses for services provided through WMC that exceed his or her financial abilities and whom it would be a financial hardship to fully pay these expenses. Other care providers not employed by WMC (for example, independent physician services). Patients must contact these health care providers directly to inquire into assistance and negotiate payment arrangements. Eligibility for financial assistance will be considered for any U.S. citizen or legal immigrant (in the event citizenship or immigration status cannot be determined based on the application, the applicant will be asked to provide information to prove citizenship and/or immigrant status) with active accounts at WMC and who are uninsured, underinsured, ineligible for any government health care benefit program, and who are unable to pay for their care, based upon a determination of financial need in accordance with this policy. Active accounts are defined as accounts for which application for assistance is received within one year of the initial patient balance determination. Maury Regional Medical Center will consider income, assets and medical expenses when evaluating an applicant’s eligibility for financial assistance. Applicants are required to exhaust all other payment options as a condition of their approval for WMC financial assistance. Applicants choosing not to cooperate in applying for public or private programs identified by WMC as possible sources of payment for care, may be denied financial assistance. Patients, or patient’s guarantors, must cooperate with the application process outlined in this WMC policy to obtain financial assistance. Wayne Medical Center reserves the right to reverse the discounts described herein in the event that it reasonably determines that such terms violate any legal or contractual obligations of WMC. The determination of eligibility for assistance will be based on financial need at the time of application. In general, documentation is required to support an application for financial assistance. If adequate documentation is not provided, MRMC may seek additional information. The WMC financial assistance application also seeks information on expenses. The information on regularly recurring monthly expenses, including medical expenses, will be considered when making a determination on financial assistance. A financial assistance application may be submitted at any point in the collection cycle. 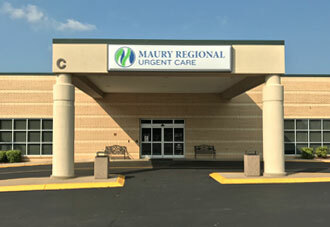 Maury Regional Medical Center will process requests for financial assistance promptly and will notify the applicant in writing upon the determination. Applications must include complete documentation for a determination of eligibility to be made. If an application is incomplete, MRMC may use a third party vendor for electronic documentation of the applicant’s financial situation. If this provides sufficient information on which to base a decision on assistance, this supplemental information will satisfy documentation requirements under the policy. If electronic documentation does not provide sufficient information on which to base a decision, MRMC will send the applicant a letter to notify them of the need for additional information. The applicants will have 20 days to return the required information to MRMC; failure to do so will result in a denial of the application. Patients, or patient guarantors, may also be eligible for an expedited application process, if they are meeting face-to-face or speaking directly with MRMC staff regarding financial assistance on accounts with balances due of less than $5,000. Applicants utilizing the expedited application process will be asked to sign a form stating their desire to apply for financial assistance and indicating financial need, household income and size. However, if they are unavailable and unable to sign this form, Wayne Medical Center may use a third party vendor for electronic screening and documentation of the applicant’s financial situation. If the information from the electronic screening process indicates financial need, a record of the electronic documentation will be included in the patient file and will serve as adequate documentation under this policy. If the information provided by the patient or through the electronic screening for this expedited application process does not indicate an expedited approval, the patient will be provided with information on the financial assistance policy and encouraged to submit an application through the traditional process. In accordance with state and federal laws, in the case that a paper Financial Assistance application is subsequently submitted after patient payments have been received and the individual is eligible, any excess collected is refunded unless amount is less than $5. Electronic charity adjustments will be reversed if payments are received after the adjustment, in the amount of the payment, up to the original amount of patient responsibility. If eligibility is approved for WMC assistance, it will be granted for a period of six months. Financial assistance will also be applied to unpaid bills incurred in the previous 12 months for eligible services that are active within WMC accounts receivable. No patient will be denied assistance based on failure to provide information or documentation not required in the application. Wayne Medical Center also reserves the right to re-evaluate previous financial assistance approvals within the six-month period if a patient’s financial situation appears to, or has been suspected to, have changed. The re-evaluation will be based on more recent information and such re-evaluations will be handled on a case-by-case basis. Uninsured Discount: Uninsured patients will be provided an uninsured discount, in accordance with Tennessee Law (TCA-68-11-262), at the time that charges are rendered. This applies to patients with no coverage for payment from health care insurance and/or other third party coverage. Qualifying patients will not be charged more than one hundred seventy-five percent (175%) of the cost for services provided. Therefore, each self-pay patient will be given an automatic 43% discount. 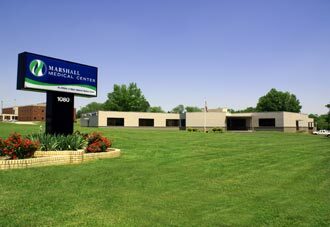 Periodic internal audits will be conducted within the Finance Department of Maury Regional Medical Center to ensure that WMC is in compliance with TCA-68-11-262. Full Free Care: The full amount of WMC charges will be determined covered under this financial assistance policy for any qualifying uninsured or underinsured patients, or patient guarantors, whose gross family income is at or below 100% of the current federal poverty level. Catastrophic Care: Wayne Medical Center patients with expenses incurred for eligible services may qualify for catastrophic care assistance if they have incurred out-of-pocket obligations that exceed a certain threshold of family income during any 12 month period. Patients, or patient guarantors, with family income equal to or less than 250% FPL, and out-of-pocket obligations resulting from medical services provided by WMC that exceed 20% of household income, will have their charges discounted to an amount not exceeding 20% of family income. Patients receiving discounted care under the WMC financial assistance policy but with a balance due that exceeds this threshold will be eligible for catastrophic care assistance and will be expected to pay the lower of the discounted charges. Patients, or patient guarantors, with family income exceeding 250% FPL but equal to or less than 400% FPL, and out-of-pocket obligations resulting from medical services provided by WMC that exceed 30% of household, will have their charges discounted to an amount not exceeding 30% of family income. Payment Plans: Payment in full is expected for balances due, within 30 days of the initial invoice. If it is not feasible for a patient, or patient’s guarantor, to pay in full within this timeframe, a payment plan may be extended for up to 36 months. Arrangements for payment plans must be made with the WMC Business Office. Patients are responsible for communicating with WMC anytime an agreed upon payment plan cannot be fulfilled. Lack of communication from the patient may result in the account being assigned to a collection agency. Wayne Medical Center understands that not all patients are able to complete a financial assistance application or comply with requests for documentation. There may be instances under which a patient’s qualification for financial assistance is established without completing the formal financial assistance application. In these cases, other information may be utilized by MRMC to determine whether a patient’s account may qualify for assistance and this information will be used to determine presumptive eligibility. Patients orguarantors, who are deceased with no estate in probate. If WMC finds that a patient is deceased, all applicable laws will be followed for the handling of the deceased patient’s account. If WMC’s research finds that the patient has no estate, or that the time to file on the estate has passed, WMC will adjust the account as an indigent estate and documentation will be maintained (hard copy if available, or notes in system if hard copy is not available) to verify the adjustment(s) made. TennCare beneficiary, for and out-of-pocket or costs associated with eligible services under this policy that arenot covered by the program, or for costs associated with eligible services received prior to being enrolled in program but incurred during the qualification period. 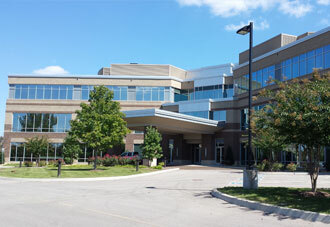 Wayne Medical Center understands that certain patients may be non-responsive to WMC’s application process. Under these circumstances, MRMC may utilize other sources of information to make an individual assessment of financial need. This information will enable MRMC to make an informed decision on the financial need of non-responsive patients utilizing the best estimates available in the absence of information provided directly by the patient. Wayne Medical Center may utilize a third party to conduct an electronic screening of patient information to assess financial need. This review utilizes a health care industry-recognized model that is based on public record databases. This predictive model incorporates public record data to calculate a socio-economic and financial capacity score that includes estimates for income, assets and liquidity. The electronic technology is designed to assess each patient to the same standards and is calibrated against historical approvals for WMC financial assistance under the traditional application process. The electronic technology will be deployed prior to bad debt assignment after all other eligibility and payment sources have been exhausted. This enables WMC to screen all patients for financial assistance prior to pursuing any extraordinary collection actions. The data returned from this electronic review will constitute adequate documentation of financial need under this policy. Patients determined eligible for financial assistance will not be expected to pay gross charges for eligible services while covered under WMC financial assistance policy. 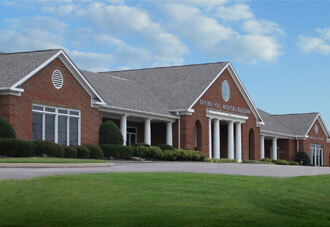 Information on financial assistance will be available to patients and the community served by WMC. The financial assistance policy, application and a plain language summary of the policy will be available on the hospital’s website. Financial assistance information will also be provided in the patient admission information package. Information on the WMC financial assistance policy and instructions on how to contact WMC for assistance and further information will be posted in areas that include, but are not limited to, emergency rooms, urgent care centers, admitting and registration departments, hospital business offices, and patient financial services offices that are located on facility campuses, and at other public places as WMC may elect. Patient statements will include information on the WMC financial assistance policy and on how an application may be obtained. WMC will respond to oral or written requests for more information on the financial assistance policy made by a patient or any interested party. A request for financial assistance may be made by the patient or a family member, a patient’s guarantor, close friend, or associate of the patient, subject to applicable privacy laws. Referral of patients for financial assistance may be made by any member of the WMC staff or medical staff, including physicians, nurses, financial counselors, social workers, case managers, chaplains, etc. Wayne Medical Center will comply with all federal, state and local laws, rules and regulations and reporting requirements that may apply to activities conducted pursuant this policy. Information on financial assistance provided under this policy will be reported annually on the IRS Form 990 Schedule H.
Maury Regional Medical Center will document all financial assistance in order to maintain proper controls and meet all internal and external compliance requirements. Maury Regional Medical Center’s Chief Financial Officer has authority to approve the financial assistance. This policy has been approved by the MRMC CFO. The policy is subject to periodic review and MRMC reserves the right to amend and/or update this policy. 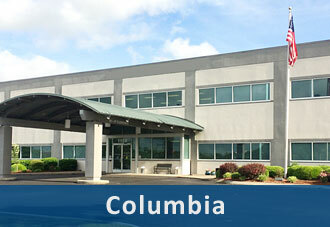 If you have any questions regarding how to complete the application, please contact Patient Accounts at 931.380.4084. Thank you. Maury Regional Medical Center encourages transparency on health care costs and clinical quality. 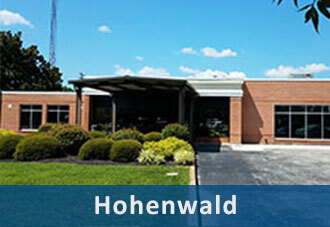 For more information about our facility and others, click here.